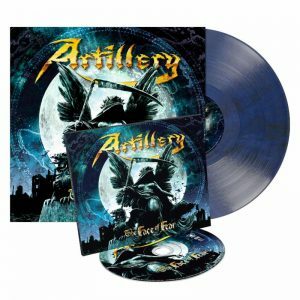 Since the last album, Penalty By Perception – which won the band four Danish Metal Awards in 2016 (best album, best band, best production and honorary prize) – Artillery has toured around the world, including Europe, South America and parts of Asia. For the rest of 2018, there will be time for Copenhell’s Metal Cruise and a Denmark tour, plus a release party on High Voltage. 2019 will include tours in Europe, South America and USA. Stay tuned for more news coming soon!